Mischief.tv & AiNET Presents the 2012 "Mid Atlantic MEGA MEET" End of Season Charity Event taking place on Sunday, November 18th. The meet is from 12pm to 5pm at Deepak's new AiNET data center in Glen Burnie, MD. Do you remember and miss how the “Mid Atlantic MEGA MEET” used to be organized when it was located just off I-95 at exit 161 in Woodbridge, VA back in 2005/2006? Well we do and luckily we have been provided with an amazing opportunity! It's that time again for all kinds of people that drive all kinds of vehicles to meet up and enjoy each other’s style of modifying their rides. The cold weather might be trying to t ake over the Mid Atlantic region early but please do not let that deter you from coming out to the “Mid Atlantic MEGA MEET” End of Season Charity Event at AiNet’s new data center (7900 Ritchie Highway, Glen Burnie, MD 21061) on Sunday, November 18th from 12-5 pm. The data center, which is situated on 15 acres with over 1500 parking spaces, is still part of an active mall (Marley Station) so bring the entire family. The U.S. Marine Corps Reserve Toys for Tots Program representatives will be onsite and if you would like to help needy children in the community experience the joy of Christmas, then please don’t forget to bring a brand new, unopened, and unwrapped toy to donate during the event. Just like back in the day, we have coordinated this event through the local police department who will be onsite to help direct the traffic and provide security if needed. This is a requirement that must be fulfilled in order to keep the meets legal. Admission is FREE but it would be greatly appreciated if you would like to donate any amount to help pay for the off duty officers that will be onsite. If we receive more than $500 in donations, Dustin Worles (creator of the "Mischief" automotive DVD series) has agreed to have his head shaved onsite at the end of the event! Also, we will be having a vendor row so if you would like to reserve an area to display company product/vehicles, then please contact Ryan Leffas at the information listed below. 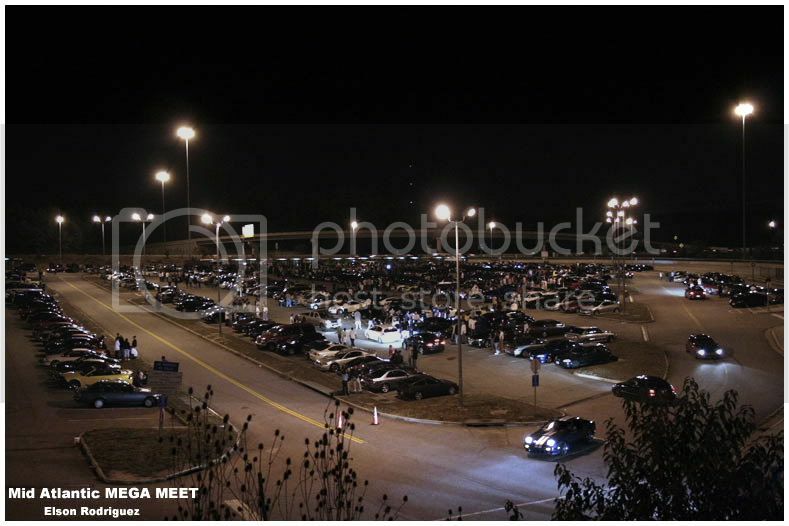 Newer PostThe "Mid Atlantic MEGA MEET" End of Season Charity Event Was a Success!